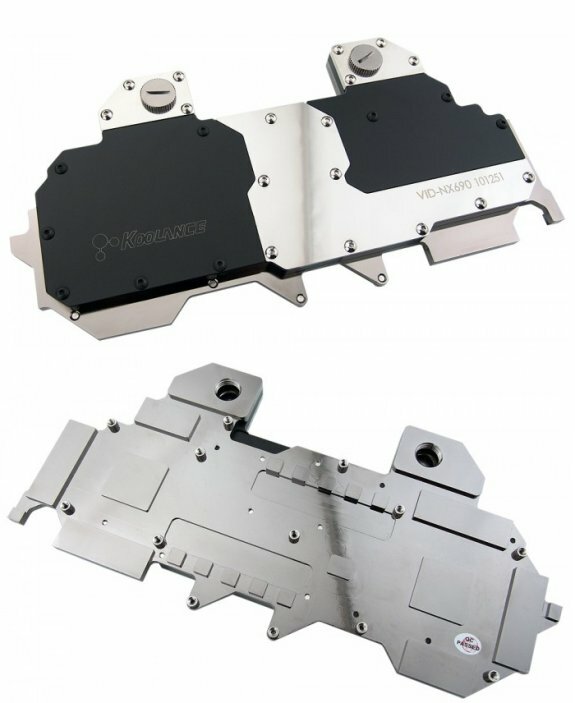 Koolance presents the VID-NX690, a waterblock for NVIDIA's GeForce GTX 690. It's now available on the company's website for $144.99. Nozzle threading is standard G 1/4 BSP. For SLI configurations, Koolance connect nozzles are also available.